The bright morning changed into a gray Sunday afternoon. 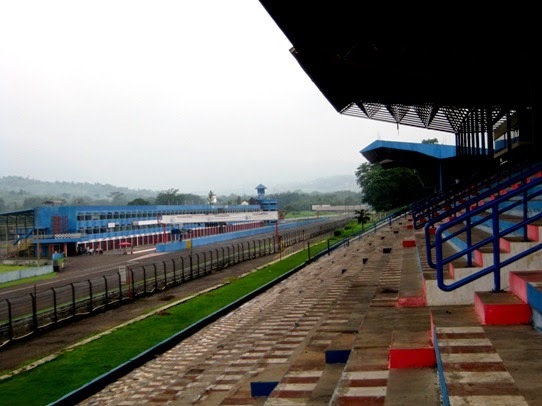 The Sentul Circuit (Sentul Bogor, West Java, Indonesia) and the tribune looked empty as there was no special event. Hello Lina, I love the colors on this shot, pretty. Have a happy weekend! Nice perspective in this shot. Thanks for sharing,the famous Sentul Circuit.